Given their extensive range of titles on paranormal Britain, it is not surprising that Amberley Publishing and the History Press have produced volumes with similar geographical coverage. The two here are directly comparable, allowing the literary equivalent of a ‘Battle of the Bands’. Should the purchaser wanting to know more of this region’s paranormal heritage buy both, or will one – or perhaps even neither – do? Supernatural Cumbria, by Helen Ivison, is the earlier book. Its advantage is that it is written by a local historian who has long experience of the area’s legends and has easy access to the paranormal grapevine. It is reasonably well organised, with a mix of thematic and geographic chapters. While there isn’t an index of locations, it is easy enough to skim down the contents pages to find a particular place. The style is very readable but the text is full of spelling errors, which let it down and suggest that editing was minimal. It contains a typical mixture of recent ghostly accounts, usually unattributed, and older folkloric stories, boggles and brownies for example. Significant localities have their own chapters. Slightly more unusual are a couple of vampires – Croglin Grange, of course, plus another at Workington – a timeslip and golden coffin stories. The Souter Fell ghost army has a brief chapter: Peter McCue and Alan Gauld wrote a significant paper which included this case, ‘Edgehill And Souter Fell: A Critical Examination of Two English “Phantom Army” Cases’, in The Society for Psychical Research’s Journal of April 2005, but Ivison does not refer to it. Unlike Ivison, Perth-based Geoff Holder is not local to Cumbria, but he is a professional writer with long experience of producing regional paranormal gazetteers. Paranormal Cumbria has fewer pages than Supernatural Cumbria, but more words per page, so they are roughly comparable in length. It is a follow-up to Holder’s The Guide to the Mysterious Lake District (2009), though with completely new material. The contents, conveyed in his usual humorously perceptive style, are arranged thematically, but a map at the front shows where the places mentioned are, and there is an index, not that common in this type of book, to allow places to be found easily. The other obvious difference between this and Ivison’s effort is that Holder has undertaken more archival work, delving back where possible to the sources and examining secondary layers that may have accumulated errors. He supplies references for all his stories, the result of which is a three-page bibliography of books, journals and newspapers that allows readers to double-check for themselves. This rigorous analytical approach is rare in the field, and all the more welcome for it. He does not use Ivison, though he must have been aware of her book given the amount of research he has done. The usual suspects, psychic abilities and witches, for example, are present, but Holder takes a more Fortean approach than Ivison, with an analysis of the various types of fairies and kindred creatures that may be found in the area; lake monsters and alien big cats; an amusing overview of the bizarre controversy which followed the installation in an ex-underpass of the Cursing Stone of Carlisle, a large lump of granite; and ending up with a look at the Solway Spaceman (a more thorough treatment of the history of this strange photograph can be found in an article by Andy Roberts and David Clarke, ‘Farewell to the Solway Spaceman?’, in the April 2012 issue of Fortean Times). Souter Fell does not appear as it was included in the earlier Lake District book. Obviously there are some areas of overlap between Supernatural and Paranormal, and these are instructive. Thus the Croglin Grange vampire appears in both, but whereas Ivison gives it half a page and repeats the bare bones, Holder delves into the various accounts as they evolved from the first reference in print by Augustus Hare, showing what a complex narrative it actually is. Both discuss a witch called Mary Baynes who lived at Tebay, but Ivison gives the story without any sources, whereas Holder does. As expected, both books are nicely produced. Supernatural Cumbria is well illustrated, mostly with the author’s photographs, though a number show the same scene from different angles, which seems redundant. 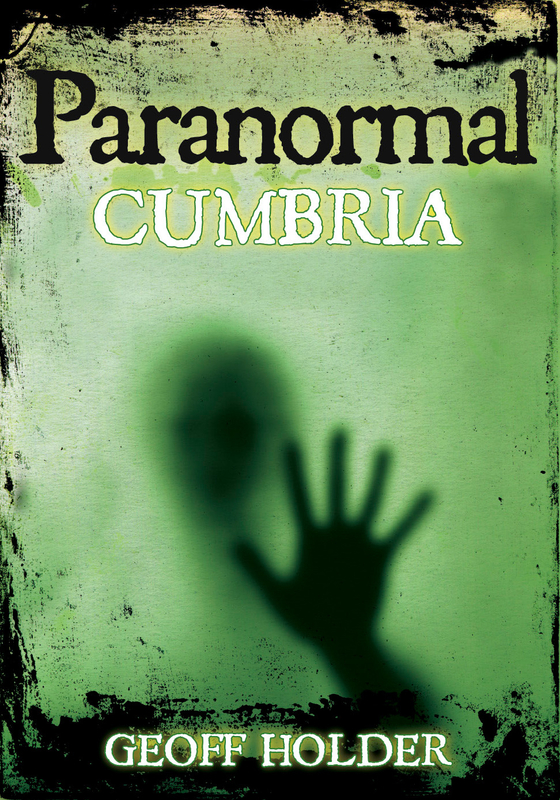 Paranormal Cumbria too is generously illustrated, but as well as the author’s own photographs he has included archival material, which makes it visually more attractive as they not just a series of snapshots illustrating the places referred to in the text. The Amberley offering is entertaining, but its lack of references and ‘friend of a friend’ reliance limits its use to a casual read. If this is what the reader requires, then Amberley has delivered a book that will be of use to anyone keen to find out about the darker side of Cumbria’s beauty. Holder has more historical material, well referenced, but fewer recent stories than Ivison was able to gather through local contacts. Ivison does have ghost stories, Holder none in this volume, so if that is the primary interest then Ivison’s is the one to purchase. She is though often frustratingly vague on detail, and it is fair to say that her book provides spread but not depth, and Holder’s, with a different though overlapping focus, provides spread and depth. To sum up, the resident of Cumbria may well want both (plus Holder’s Lake District book) in order to ensure that they have maximum coverage of the county. But the visitor who does not want to purchase both will be better off with Holder’s book. And it’s three quid cheaper. I therefore declare Paranormal Cumbria the winner.